Welcome to another week of Hookin’ Up with HoH! I’ve posted a few pieces of furniture that I’m selling on my instagram account (user: houseofhepworths). If you live in or near Austin and want any of this stuff, shoot me an email. 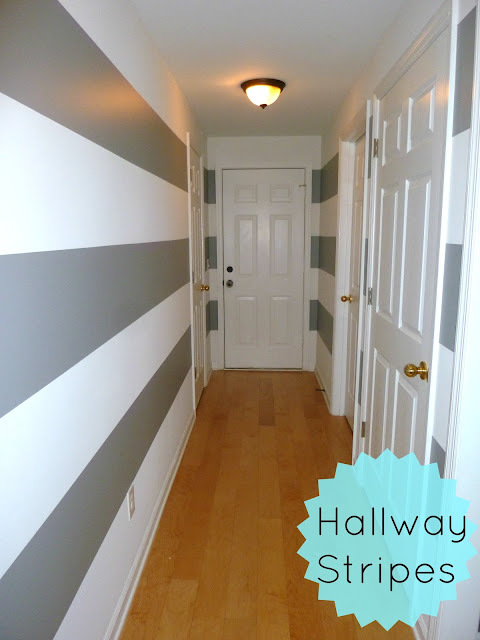 I’m always a big fan of striped hallways and Feathers & Sunshine does not disappoint. 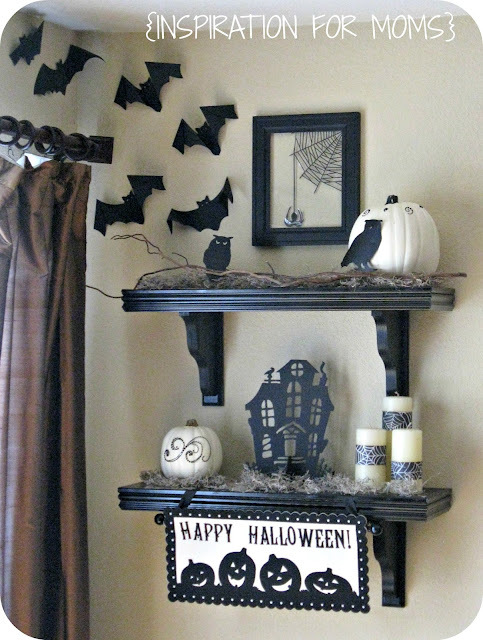 Inspiration for Moms has some inspiring Halloween themed shelves. 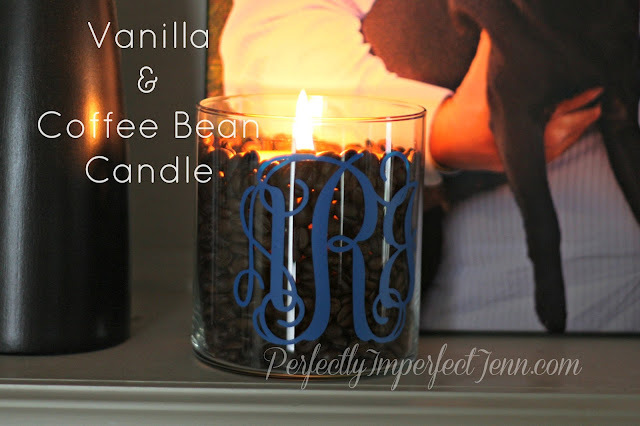 Perfectly Imperfect Jenn created her own vanilla coffee scented candle. It looks pretty and probably smells divine. I’m loving this neutral fall porch from Design, Dining + Diapers. It’s Always Autumn gives some awesome pointers for taking better portraits and snapshots of people. I’m definitely going to implement her tips into my everyday photography. Polish the Stars created a spooky vase of paper roses complete with spiders and webs. 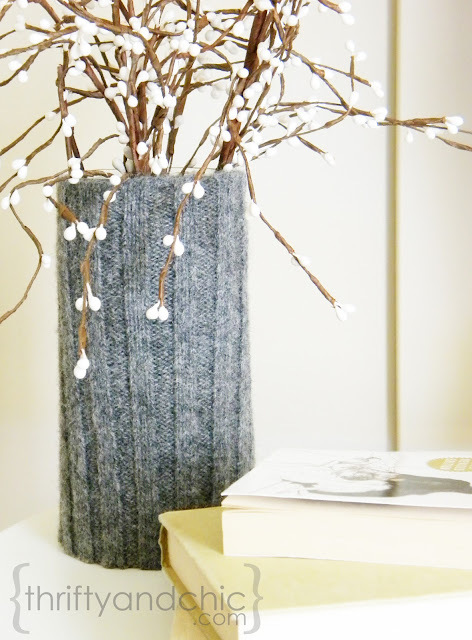 Thrifty & Chic turned an old sweater into a beautiful vase. What a great idea. The House of Wood built her own amazing cabinet and gives a tutorial so you can make one too. Check out this amazing 4-piece art that Girl in Air made. 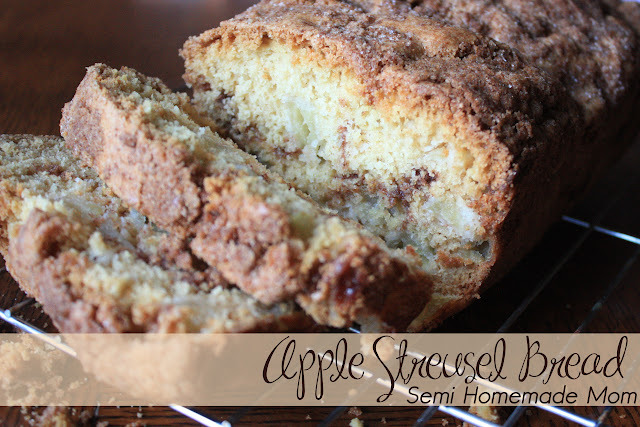 Semi Homemade Mom made some super yummy looking Apple Streusel Bread. I love this tip and tutorial from In My Own Style for making your own reversible headboard. I am a huge sucker for Gingerbread, and this recipe from Joyful Homemaking looks very tasty. * Link back to my blog pretty please! Buttons can be found HERE. I pin all the weekly features. Check out the pinterest board here. oh how i wished i lived near austin! That dresser/hutch is way to cute and I have the perfect place for it 🙂 Oh well, one can only wish! Thank you for the feature! 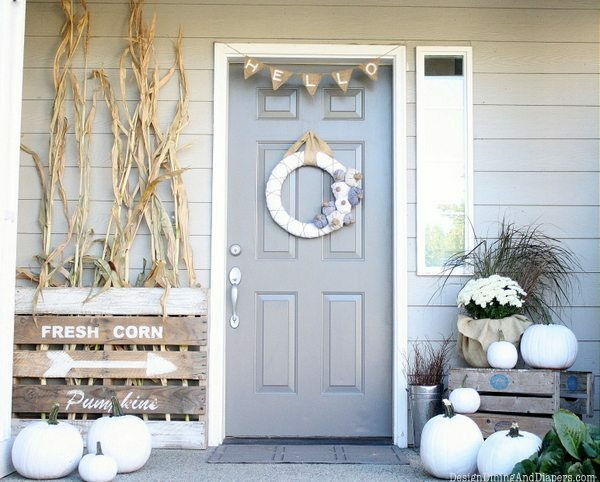 That neutral fall porch is gorgeous! Thanks for hosting, as always! Great features! Thanks for the party Allison! 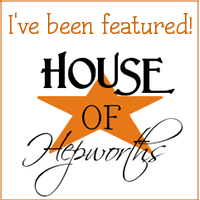 Thanks for another week of lovely features Allison! Thank you for the party, Allison. I’m checking out your features from last week right now! I could always use a few new tips. Thank you so much for hosting, Alison! Have a great week! Good morning and thanks for another link party! With the weather getting cooler, my dessert needs change. I want spicy cookies-but hate the calories. So, I came up with a Skinny Ginger Puff Cookie Recipe (#74 in the recipe section) that satisfies those spicy cravings. They’re made without shortening or sugar, but taste amazing. I hope you enjoy! I always love your posts! Hi Allison, Thanks so much for hosting another great link party! I hope you have a great week. Hi Allison, thank you again for hosting, it’s really great linking up here and seeing all the fun ideas! Thanks for hosting! Hope you have a fabulous week! It’s my first time hooking up, thanks for hosting! I just love that sweater vase!